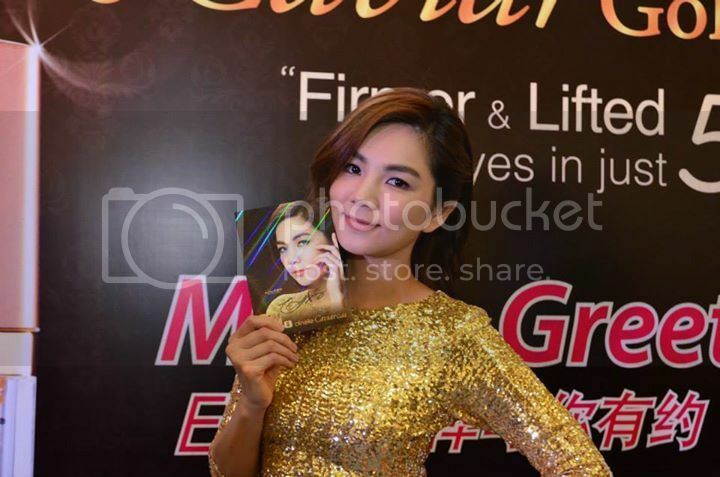 A month ago, Clinelle launched its new prestigious firming and lifting skincare range, Clinelle Caviar Gold with their special guest appearance, Miss Ella Chen, the award-winning artiste at the concourse launch in Klang. She is looking gorgeous with her gold dress on that day. Clinelle skin care has healthy and skin-friendly natural ingredients which is free from potentially harmful ingredients. The new Clinelle CaviarGold series is empowered by its unique Triple Gold Lifting and Firming Complex, with the following key natural and luxury ingredients that delivers immediate and long-lasting effects. Caviar Extract also known as "Black Gold", has a cell format similar to human skin and it's very rich in nutritious elements, including proteins, minerals, vitamins (A, D, E and K), anti-oxidants and lipids, which contain an abundance of polyunsaturated fatty acids such as Omega 3. The Caviar Extract is uniquely structured to deliver these valuable nutrients directly to the cellular level of your skin, giving your skin a balance diet. The most important properties of Caviar Extract are its powerful anti-wrinkle, moisturising, nourishing and anti-aging protective qualities - all of these help reverse the aging process. 24K NanoGold is the new generation golden collagenine that provides a remarkable effect to stimulate collagen synthesis by up to 300% hence boosting skin elasticity tremendously. In turn, this firms and evens out the skin's surface, helping to prevent the appearance of expression lines and wrinkles. Plant PhytoGold derived from natural Golden Bell Extract, with peerless brightening effect, is combined to complement this firming and lifting formulation. It is proven to be 80 times more effective than Arbutus in whitening. It also inhibits the formation of melanin and infuse the skin with light and energy to ensure a clearer, more even-toned skin. The cutting-edge Clinelle CaviarGold collection features 5 new products; Firming Cleanser, Firming Lotion, Firming Eye Serum, Firming Face Serum and Firming Cream which is formulated and manufactured in Korea. With its highly-effective results, Clinelle CaviarGold helps fight signs of waging in one simple and effective solution. 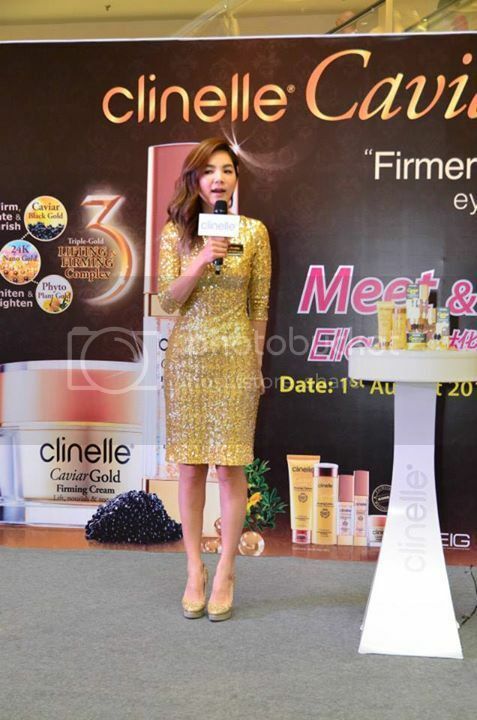 The launch of Clinelle CaviarGold is led by the Firming Eye Serum with the mission to educate consumers on the importance of caring for their delicate eye area, through their Eye Love CaviarGold campaign. 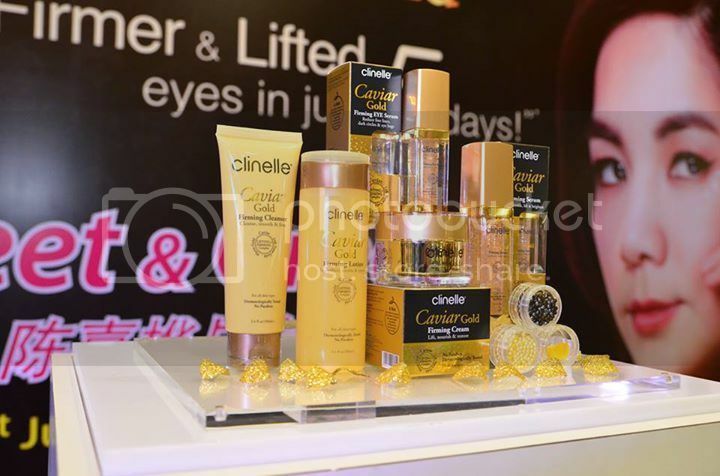 Highlighting about the new CaviarGold, Ella, Clinelle's celebrity spokesperson said that she is confident with the new Clinelle CaviarGold because it remarkably addresses the core signs of waging and helps her skin look young and flawless. 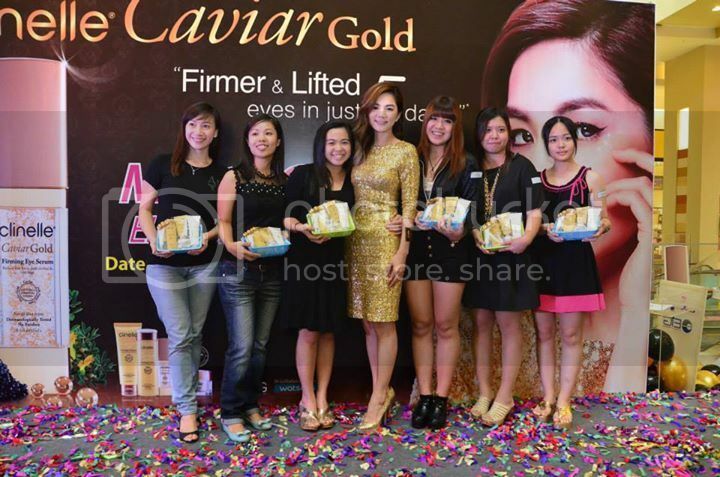 During the launch, one lucky fan had the golden chance to be picked by Ella to do facial demonstration of CaviarGold series. 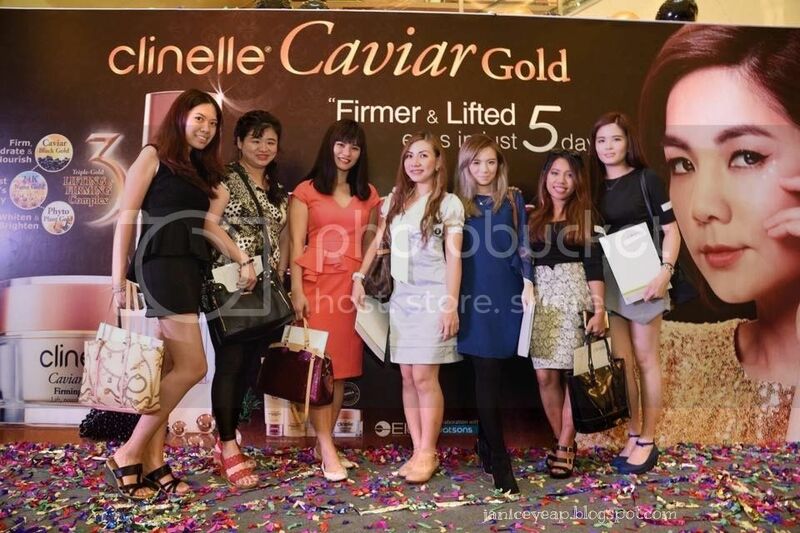 Clinelle CaviarGold collection has been dermatologically tested for its tolerance. The efficacy of the product has been proven and the product contains NO PARABEN and is therefore suitable for all skin types. 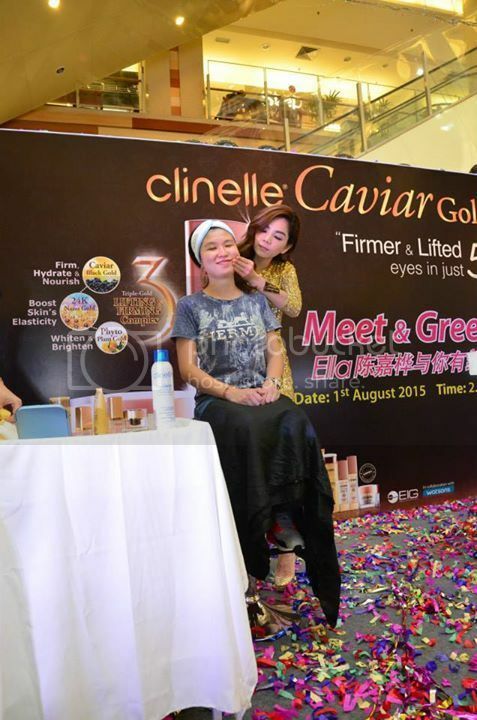 Ella also demonstrated how she applies the Clinelle CaviarGold Firming Eye Serum via a simple eye firming and lifting massage techniques called the 3 step Eye-Aerobics / Eye-Robics that has numerous benefits. These techniques ensure that the application of Clinelle CaviarGold worked into the skin for maximum effectiveness. 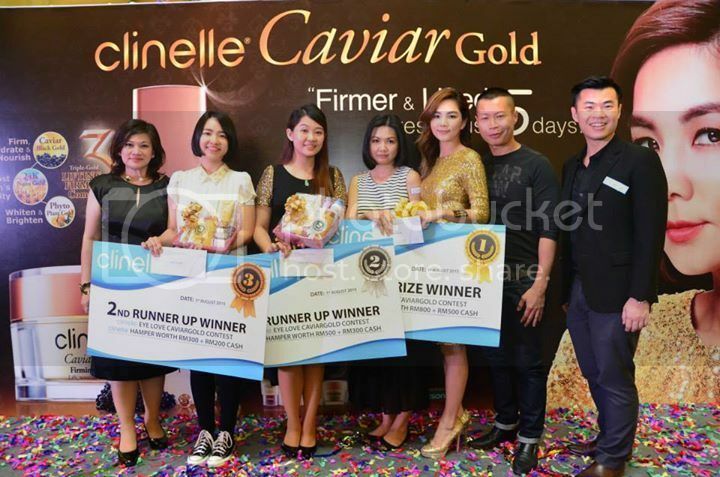 Other than that, winners from the "Eye Love CaviarGold" contest which was organised by Clinelle were present during the launch to receive their prizes. Congratulations to the winners by the way! Thank you Clinelle for having us! Clinelle CaviarGold is now available at AEON Wellness / Supermarket, Caring, Guardian, Watsons and selected independent pharmacies nationwide. For more information on the new Clinelle CaviarGold series, please visit their website: www.clinelle.com and Facebook: https://www.facebook.com/clinelle.